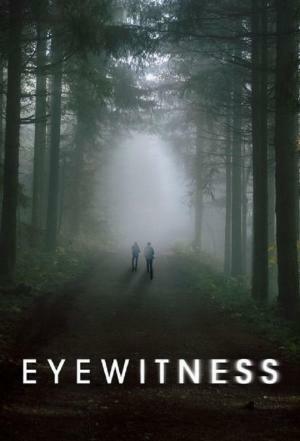 Eyewitness (US) (2016) : Série TV de 1 saisons et 11 épisodes diffusée sur . Casting, acteurs, bandes annonces et actualités. Casting de la série "Eyewitness (US)"
S01E01 Buffalo '07 16/10/2016 Teenagers Philip and Lukas meet to share a kiss—and witness a murder, which they don't report out of fear being outed. Complicating matters is the fact that Philip's foster mom is the sheriff, who's soon investigating the case. S01E02 Bless the Beast and the Children 23/10/2016 Philip and Lukas find proof that the killer's alive. Helen tries not to let the case affect her marriage. A new head of the FBI task force is introduced. S01E03 Bella, Bella, Bella 30/10/2016 Helen seeks help from Agent Kamilah Davis in tracking a potential witness. The boys skip school and head to a club in New York City that's not what Lukas expected. S01E04 Mise en scène 06/11/2016 Ryan tries to shut down Helen's case. Helen and Gabe's marriage is tested when Philip reveals a deep secret. Lukas creates a scandal to bury gay rumors at school. S01E05 L'autopsie 13/11/2016 Ryan interferes with an autopsy to stop Helen from getting closer to the truth. Philip deals with a surprise visit from his mom. Lukas struggles with anxiety about the murders. S01E06 Le canapé jaune 20/11/2016 Helen is pulled away from her search for the murder weapon by Kamilah, who needs her help in finding a missing Sita. Lukas nears his dream sponsorship, but securing it may require an act of betrayal. S01E07 They Lied 27/11/2016 Lukas and Philip finally embrace their romance. Helen seeks Kamilah's help in protecting Lukas after she discovers evidence that the cabin shooter is alive and dangerous. S01E08 The Larsons' Dog 04/12/2016 Ryan romances Kamilah to get close to Lukas. As she tracks the killer, Helen develops an unexpected emotional connection with Ryan. Meanwhile, Gabe uncovers a clue to his wife's mysterious past. S01E09 Savior Unknown 11/12/2016 Ryan struggles to cover his tracks. Meanwhile, Helen's dark past comes back and threatens her marriage as well as her ability to protect her family. S01E10 Mother's Day 18/12/2016 Helen reels after learning the identity of the killer; when Lukas and Philip go missing, Helen races to find them. Envie de parler de Eyewitness (US) ? Les discussions sont là pour vous. Retrouvez toutes les informations sur Eyewitness (US) lancée en 2016 : synopsys, casting complet, acteurs, scénariste, réalisateur. Découvrez des séries similaires à regarder également. Faites vous une idée de la série grâce à la note des membres et aux critiques des internautes.